When you’re planning to develop a beautiful, user-friendly app with an intuitive interface, you need to consider a lot of factors. Its design, components, functions. Even if you think that your project seems perfect, there may be a few, seemingly irrelevant details which you have skipped. A few small features which can significantly improve the user experience for these with disabilities. Below I’m presenting five simple tips on increasing application accessibility. The internet may be very useful, but it isn’t universal. Unfortunately, it can’t fulfill all users’ needs in the same way. For those who suffer from the visual or motor impairments there are dozens of possible challenges behind each website and application. Not every developer takes it into consideration. 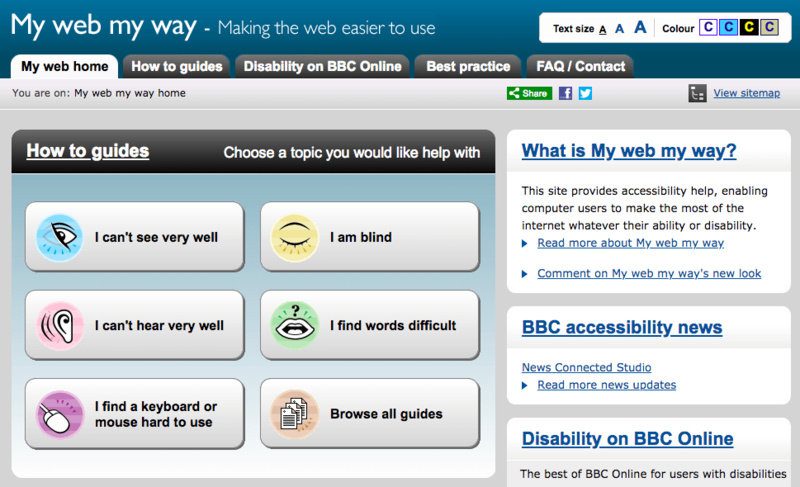 But building a disability-friendly website or application is way simpler than you may think! I’ve written this post to share an opinion based on my experience and research. I have a slightly broader overview of this topic, as I see it from two perspectives. It’s because, two years ago, I was a completely healthy person, being able to use all applications. 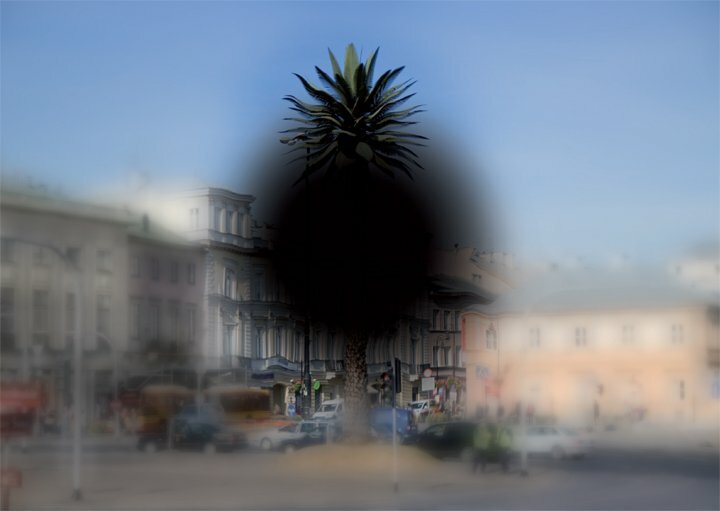 Now, I have problems with seeing. Also, my motor skills are limited. That’s why some of the apps aren’t as useful for me as they used to be. The first question is: what does “a disability-friendly application” mean? Is it an application which helps people with disabilities, alternative version of a regular application or rather an app which is adjusted and easily accessible to the users with disabilities? Let’s try to answer this question by pointing out a few tips which may make your application even more user-friendly. Sometimes, when I have a really bad day, my world looks like the palm on the photo below. It also reflects how I see the images on the screen of my phone or PC. When the user is unable to see the pictures, maps or icons properly, alternative texts are something really helpful. Lack of the alt texts sometimes make the images “invisible” to the users who have the vision impairments and avail themselves of screen readers. Adding proper alternative texts (alts) to all the images let users “see” them in every circumstances. for images that require a long description, consider using a figure caption; thanks to this – the descriptive information is available to all the users. If you have any doubts regarding alternative text you’ve used, there are some online tools which may help you audit it. One of these is WAVE Chrome Extension. It provides a feedback about the accessibility of your web content. Even though it’s important to prepare alt texts for the images – not all of them need it actually. For example: spacers, icons or CAPTCHA don’t need alts. Icons are very often used to complement the text, so there’s no need to duplicate them. Spacers are the images used for padding, and they present no information, while CAPTCHA has default audio alternative. Another important thing is the colour contrast. Insufficient contrast between the text and the background can cause some difficulties for colour-blind users. Minimum luminance contrast ratio between the text and its background makes the text more readable even if you can’t see the full range of colours. visual effects which, for example, indicate if a component is selected or highlighted should provide the minimum 3:1 contrast with the background. 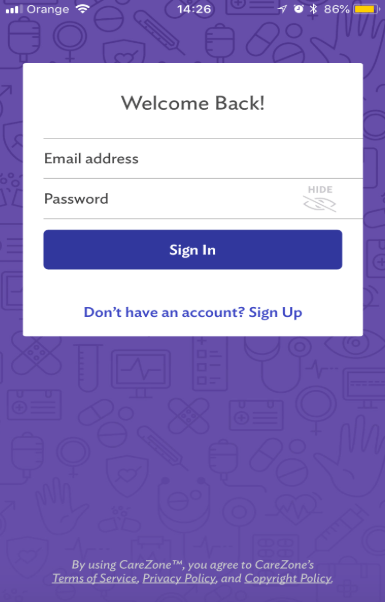 Proper colour contrast as presented on the login screen of a CareZone app. There are some applications to help you adjust the design of your app to make it user-friendly for the people with the visual impairments. Sim Daltonism uses the camera to apply a filter on an image to help you visualize colours as they’re perceived by the users with various types of colour blindness. Colour Contrast Analyser may be useful to set a proper colour contrast in your app. Alternatively, one of the Google developer tools can help you determine if the colour contrast on current page is adequate. Under “Audits”, you can check “Accessibility” to run and audit current page. When you suffer from visual or mobility impairment, the mouse may be a difficult tool to use. Sometimes there’s no easy way to figure out where the mouse pointer is located. Also, it may be difficult to move the mouse if your hand is shaking. In both cases, navigation can be much quicker and easier if keyboard commands and shortcuts are used to get around. It’s also important to remember about activating all the links and buttons. This is how Yelp.com looks when operated by keyboard only. In this case testing is very simple and doesn’t need any special tools to go mouseless. To sum it up: everything we normally do with a mouse should be possible to execute with the intuitive use of a keyboard. Firstly, it’s important to make sure that the focus order is logical. Secondly, to use CSS and provide a clear visual indication of when links, buttons and other active elements receive focus. Below is a pretty bad example – the menu link “Categories” is skipped and never receives a focus. On the other hand, a good example from Twitter – when a tweet dialog is shown, the focus never leaves the dialog itself. 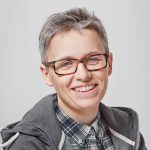 How to test if everything works properly on your website? It’s enough to use a tab key and move through every active element. If you haven’t found unexpected jumps to another locations/subpages or lacking focuses, it means that everything’s fine. Including an accessibility guide may be a good solution but it’s not necessary. Below is a good example which I’ve found on the BBC website. While providing such a guide is not always necessary, I think it should be obligatory to at least inspect a web page using very simple screen reader like a free Google Chrome extension, ChromeVox. It allows you to experience how the assistive technology works. It’s very useful if you think about creating easily accessible applications. Now, we can answer the question which we’ve asked at the beginning. A disability-friendly app is nothing else but a regular application which is adjusted and easily accessible to the users with disabilities. Remembering about these few, simple tips may help you creating an app equally useful and easily accessible for all the users. A small amount of work and goodwill may make a huge difference for the users.